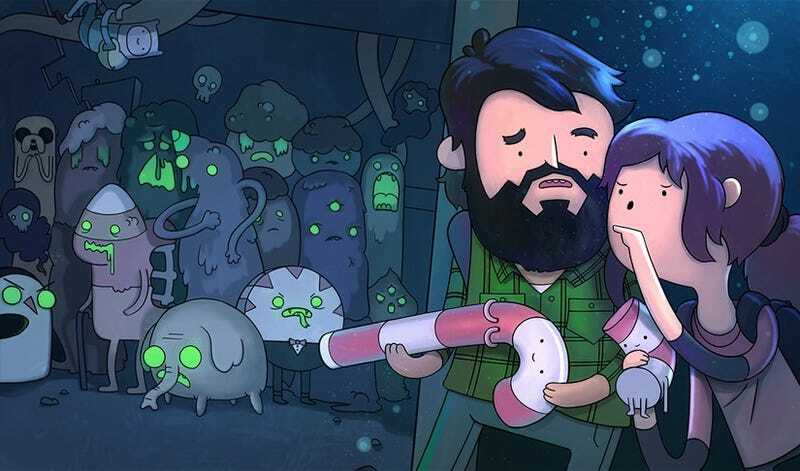 The good news is that Joel and Ellie have found their way to the Candy Kingdom; the bad news is that the kingdom is experiencing one of those pesky plagues of Candy Zombies. Greggory Metzler created this mashup for the Press Start III exhibit currently showing at Ltd. Art Gallery. Prints are available at the Ltd. Art Gallery store.